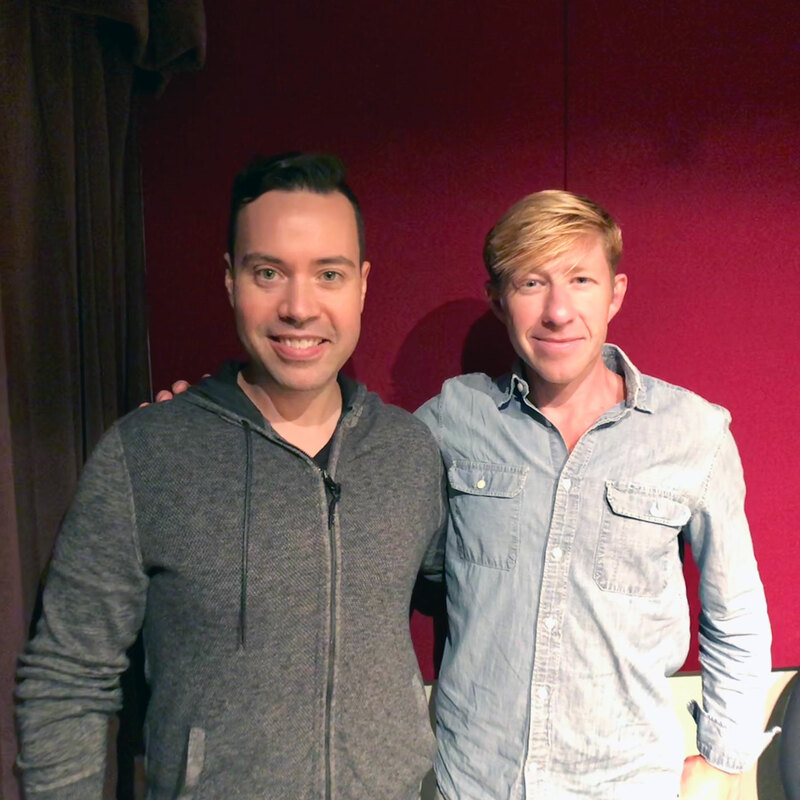 Dr. Matthew Walker (@sleepdiplomat) is Professor of Neuroscience and Psychology at the University of California in Berkeley, founder and director of the Center for Human Sleep Science, and author of Why We Sleep: Unlocking the Power of Sleep and Dreams. Why you’re not lazy if you don’t happen to be a morning person (it’s genetic). What it means when you always seem to wake up right before your alarm. What’s going on in your dreams (lucid or otherwise) and what can you learn from them? How to train yourself to go to sleep at the time that’s ideal for you. Mistakes you’re making that keep you from getting optimal results at bedtime. With only so many hours in the day to get things done, sleep often falls by the wayside as something we neglect in our workaholic society of endless hustle — with consequences more dire than most of us understand. So how do we optimize the sleep we get to maximize the effect of our wakeful hours and live longer, healthier lives? 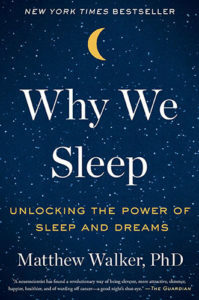 In this episode we talk to Dr. Matthew Walker, scientist and professor of neuroscience and psychology at the University of California in Berkeley and author of international best-seller Why We Sleep: Unlocking the Power of Sleep and Dreams. He’ll help us understand how to best harness the time we spend sleeping — whether we’re globetrotting entrepreneurs dealing with jet lag or nine-to-fivers in constant battle with our snooze alarms. Listen, learn, and enjoy! We’ve all been guilty of letting sleep take a backseat to the things in life we’ve designated as higher priorities. Whether you’re a workaholic trying to fine tune the big proposal in the wee hours, a student staying up all night to cram for the grade-defining final exam, or a gamer choking down Big Gulps of Mountain Dew to get to the elusive next level, you’ve made the choice to forego sleep in favor of something deemed in the moment as “more important.” Again, we all have. Then again, we’ve also tried to do the right thing and get to bed by a reasonable time only to toss and turn restlessly until the morning alarm sounds. So which is worse: choosing to do the wrong thing and losing sleep, or choosing to do the right thing and losing sleep? Possibly the most maddening way to lose sleep is to become so obsessed with catching a good night of it that you can’t stop checking the countless apps or devices designed to help track it and you invoke a relatively new disorder dubbed Orthosomnia. As a sleep researcher who knows what he should be doing to get a good night’s sleep yet still occasionally falls into the trap of worrying himself wakeful, Why We Sleep: Unlocking the Power of Sleep and Dreams author Matthew Walker is sympathetic to the struggle — which is why he saw the need to write this book. For example, Matthew points out that driving after 20 hours without sleep means you’re as cognitively impaired as you would be if you were legally drunk. “We know that a lack of sleep and fatigue causes more accidents on our roads than drugs and alcohol combined,” says Matthew, adding that they’re also more deadly because someone under the influence is at least reacting slowly to an impending accident, while someone falling asleep at the wheel isn’t even aware enough of their surroundings to have any kind of reaction at all. “At that moment, there’s a two-ton missile traveling at 65 miles an hour — and no one’s in charge!” says Matthew. Listen to this episode in its entirety to learn more about why even six hours of sleep — what many consider a reasonable minimum night’s rest — still makes you 33 percent more likely to have a car accident, the terrible risks you’re taking if you regularly get less than six hours of sleep per night, how every fatal disease in the developed world now has a causal link to insufficient sleep, what the chances of you being genetically lucky enough to survive on less sleep than everyone else really are, why the World Health Organization declared night shift work a “probable” carcinogen, if willful sleep deprivation is a uniquely human phenomenon, the connection between hunger and sleep, why some of us are morning people while others are night owls (or somewhere in between), how to best cope with jet lag, how to use sleep to your memory’s advantage, the benefits of dreaming, and much more. Click here to thank Matthew Walker at Twitter!